Why Aren’t All Belly Buttons The Same? 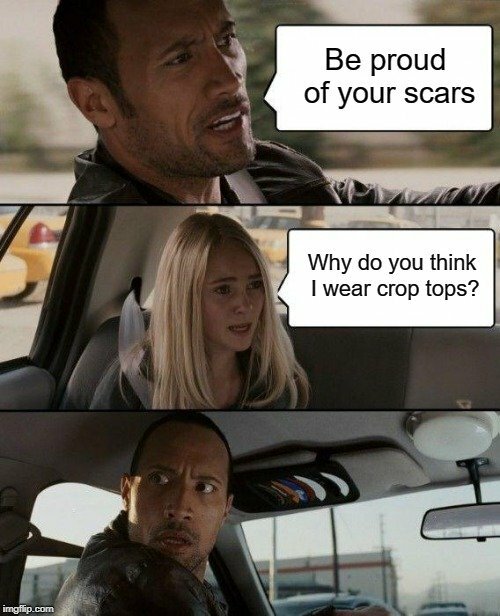 Do you remember the first scar you ever got? Was it when you fell off your bicycle and scraped your knee? Or were you running too fast and slipped on a wet floor? Every scar has a story to tell! However, your first-ever scar is actually your navel (belly button). Yes, you read that right! You probably never thought a scar could be so beautiful, right? 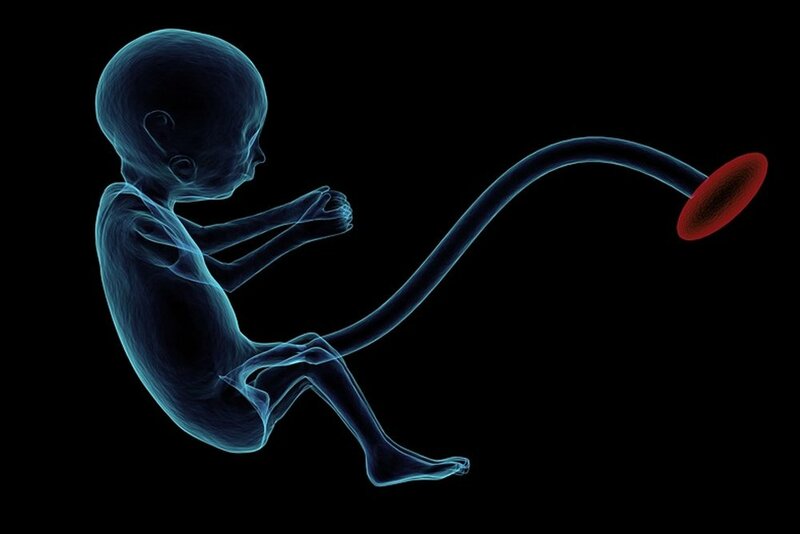 When you were a fetus in your mother’s womb, the nutrition and oxygen you needed was supplied to you through a tube called the umbilical cord, which connected you to your mother’s body. The umbilical cord also helped to pass deoxygenated blood and waste products back from your body to hers. 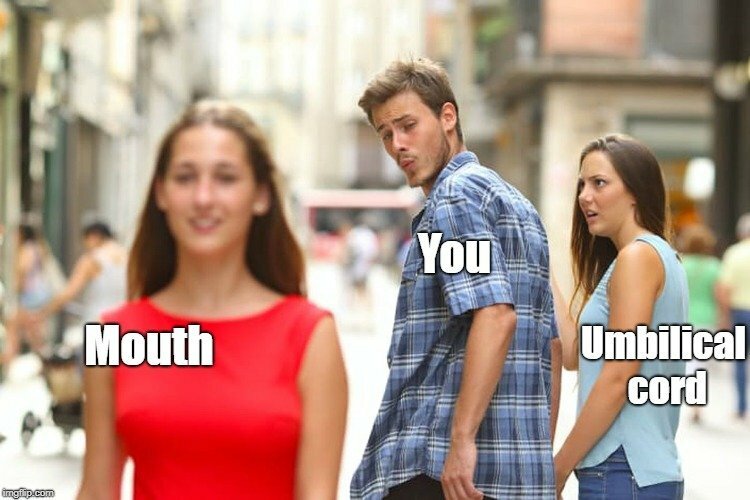 After you were born, you no longer needed the cord to get the nutrients and oxygen you required, since you could now do that with your mouth! The doctor cuts the cord an inch or two from your body in order to give your body time to heal and close the point where the cord joined your body. This piece of the cord left on your tummy is called a stump. Over the next few days, your body will heal your abdomen by forming scar tissue to make your belly button. The stump eventually dries and falls off like a scab falling off a healed wound. Basically, your belly button is just a scar left over after the umbilical cord was removed! Since this is the place where your umbilical cord had been attached earlier, the belly button is also called the ‘umbilicus’. What decides the shape of your belly button? Belly buttons come in different shapes and sizes. We usually classify them into two main groups: innies and outies, depending on whether they go inward or stick out. Although getting an innie or an outie is a matter of chance, most people have innies. Some people believe that one’s belly button style depends on the manner or distance at which the cord was cut, but there is no evidence to prove this is true. The more agreed-upon view is that the type merely depends on the manner in which the scar tissue formed. Outies have extra scar tissue protruding out, as compared to innies, which are more concave. Sometimes, an outie can also be created due to an umbilical hernia or umbilical granuloma. Those conditions may sound scary, but they rarely pose any threat or require any treatment. Let’s take a closer look at these conditions that may cause outies in newborns. In premature babies, when the abdominal muscles are not developed well, the intestine tends to push through these muscles and create a bulge near the navel. It can visibly poke out more when the baby cries and strains its muscles. This hernia typically closes within three to four years, so surgeons usually recommend waiting before suggesting any sort of operation. Have you ever seen or heard of a navel orange? 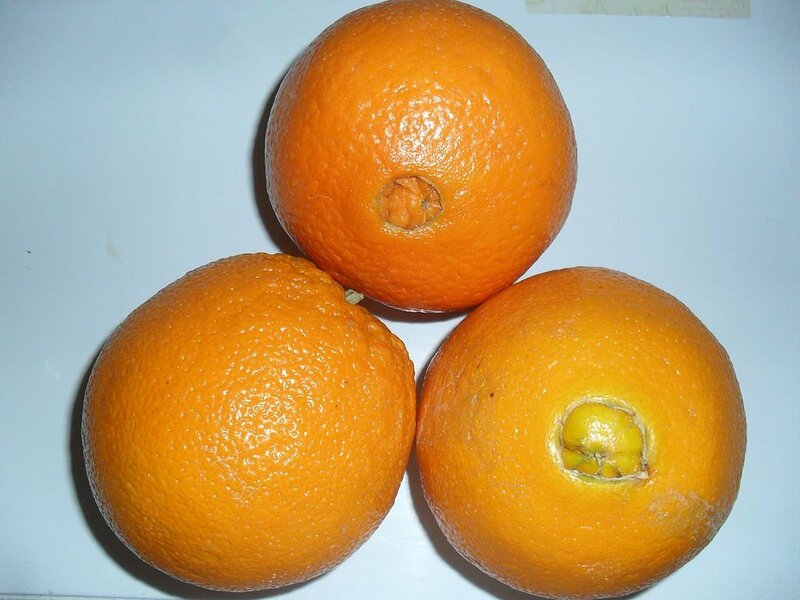 The story of the navel orange is quite similar. A tiny secondary fruit grows within the primary fruit, which causes the blossom end of the primary orange to resemble an outie navel. This navel-like structure enlarges as the secondary fruit grows. A more common condition is an umbilical granuloma, where a swollen piece of skin develops in the belly button in the first few days after the umbilical cord is cut. It appears to be a tiny red lump and is sometimes covered in light yellow or clear discharge. This painless lump eventually hardens, resembling a little ball of skin inside the baby’s navel. Did you know that an innie can change into an outie during pregnancy? In the second or third trimester, the rapidly expanding uterus puts pressure on the tummy, pushing the belly button outward. However, the pressure goes away once the baby is delivered, and over the next few months, the belly button will slowly go back to its normal size and protrusion. In spite of being such a beautiful scar on our body, the belly button is also home to a lot of bacteria and cloth lint. Outies accumulate less cloth lint, since the lint does not find as easy a place to settle. However, innies are prone to getting dirty and must be washed regularly with soapy water to maintain good hygiene. Antibacterial products are not suggested, however, since they can kill the good bacteria living in the navel that protect it from other external germs. Navel piercing is not recommended, as it takes six to nine months to heal properly, as opposed to a few weeks required in other places, like the ears and nose. Wearing tight clothes can also irritate the piercing and may hinder the healing process. The navel, if not healed properly, may become prone to infections. 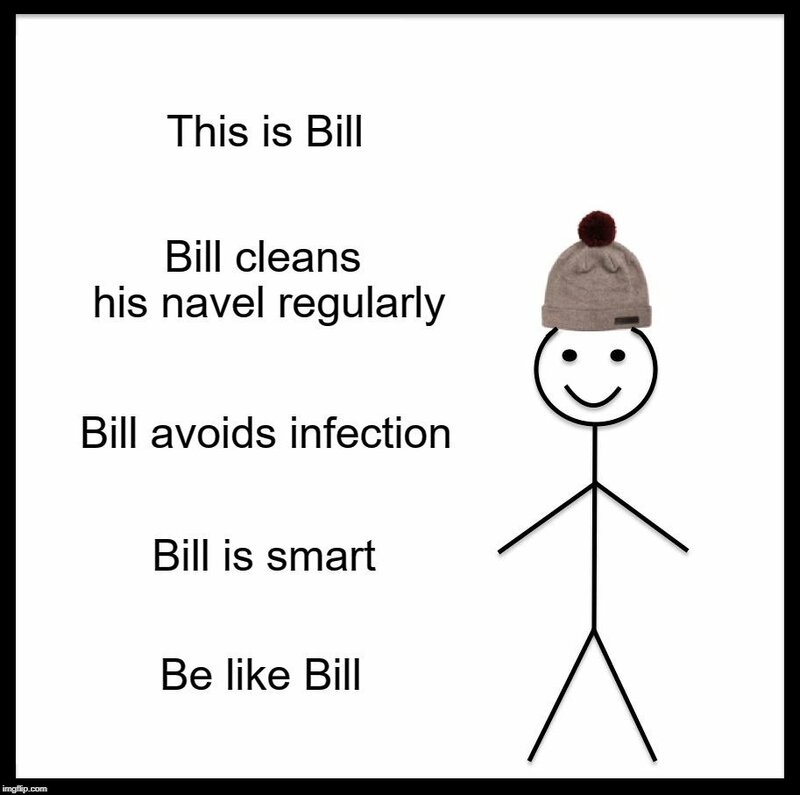 In short, be like Bill and take care of that beautiful scar you’ve been blessed with!